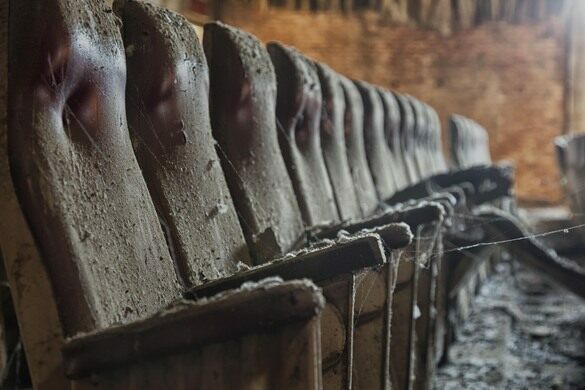 A remarkable abandoned cinema that looks like it's frozen in time. 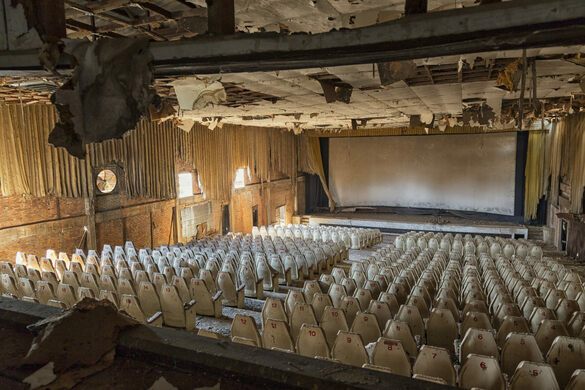 Although this theater has been abandoned for more than three decades, most of its original seats, screens, curtains, and even antique projectors are still in place, though they’re cloaked by thick layers of dust and threads of cobwebs. 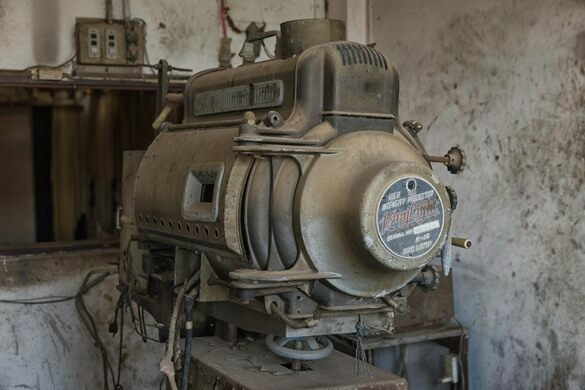 Even the projectionist’s chair remains behind the projector, just as it did when the last reel finished spinning. This spectacular site of dereliction is the Petch Siam cinema, located in Northern Thailand, a six-hour drive from Bangkok. 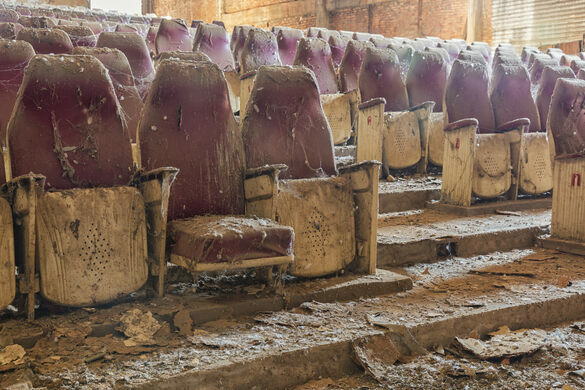 The cinema stands not far from the decaying ruins of the ancient Thai Capital of Sukhothai, making it a contemporary addition to the local architectural skeletons of the past. The Petch-Siam was once a thriving cinema, owned and operated by a local family. It opened its doors in the mid-1970s and became a place where families gathered to watch films together on the single available screen, eat some popcorn, and enjoy a brief respite from farm work, planting, and harvesting rice. But it wasn’t long before a large theater chain opened a new cinema in a neighboring city, offering a multi-screened and modernized movie alternative. 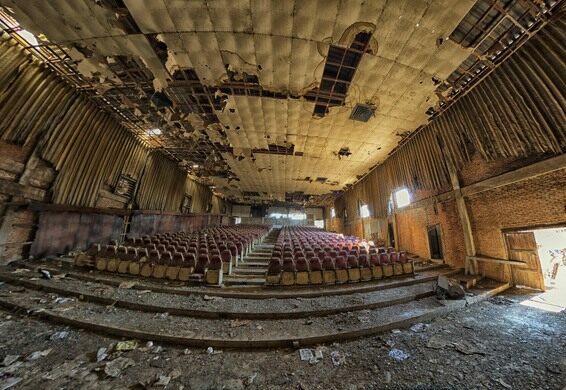 The new theater proved to be too much competition for the humble local theater. The owners did all they could to help the business survive or make a comeback, but to no avail. As a result, the Petch-Siam closed for good only about 10 years after it opened. 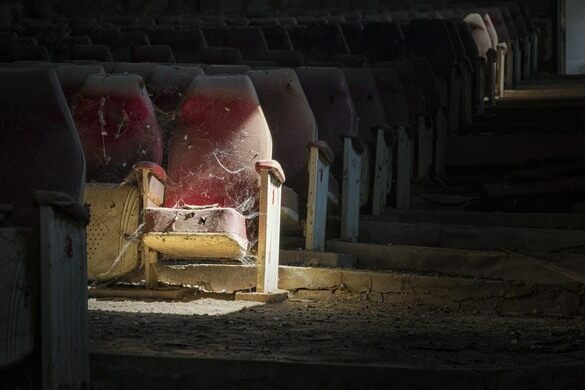 Now, the roof is caving in, dust and dirt cake the seats, and some of the chairs are missing. The floors have been washed out by the flooding that is common to the region. 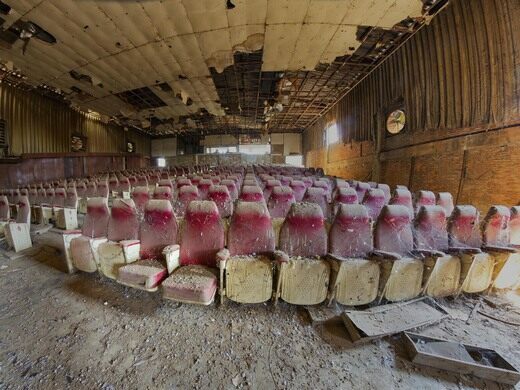 Yet in spite of 30 of decay taking their toll, all elements of a working movie theater still remain. In many ways, it’s as if the last film stopped rolling, the audience got up from their seats, walked out, the doors were locked, leaving the place to sit in a frozen state for more than decades. 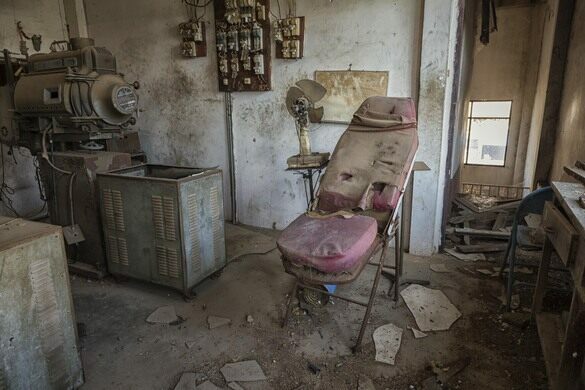 Exploring inside is truly mesmerizing, like entering a forgotten tomb. From the outside, the cinema is a nondescript, warehouse-like building. Because it isn't typically open to tourists and trespassing is strongly discouraged, the GPS coordinates/map for this entry have been intentionally hidden. The family who owns the cinema still lives within the Si Samrong District.